“It could happen sooner than markets currently expect”. The pound has jumped shortly after arriving to assert € 1.25 (the highest level since last fall), and climbing from $ 1.68 to $ 1.69. The exchange rate reached its peak touching 173.36 and broke the resistance that was stable from 9th May and equal to 172.53 confirming the resumption of the rebound from 169.53. The new resistance level is set at 173.6 and this value is not exceeded by January 2014; a break of this might even lead to the achievement of the maximum reached by the GBP/JPY since April 20, 2008 and amounted to 174.76, which we can call key resistance level. The support level is fixed and equal to 170.95. We can assume that the rupture of the key resistance level can ensure the continuation of the bullish trend that continues from April 2012. In the picture above the trend from 116.83 is continuing to rise and the MACD indicator provides positive signals that suggest a separate highest level of GBP / JGY. KTM Daily: A lower high needed to forecast further EURUSD retracement. AUDJPY: Holds the 50.0% fib. KEY TO MARKETS NZ Limited is a company registered in New Zealand under number 4472148 and a member of FSCL, an approved External Disputes Resolution (EDR) scheme. KEY TO MARKETS NZ Limited does not offer any services to residents of New Zealand, USA, Iran, North Korea and other countries where restrictions apply. KEY TO MARKETS NZ Limited is wholly-owned and controlled by KEY TO MARKETS (UK) Limited a company registered in the United Kingdom and regulated by the Financial Conduct Authority (FCA register number 527809) and with the MiFID passport is able to carry on its business in all the European countries subject to MiFID regulations. 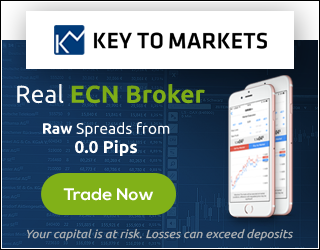 KEY TO MARKETS (UK) Limited supports KEY TO MARKETS NZ Limited for processing Skrill and Neteller payments. KEY TO MARKETS DMCC is a company registered in the UAE – DMCC free zone under number DMCC95681 and regulated by the DMCC with trading license number DMCC-344359. Trading in Margined Foreign Exchange carries a high level of risk to your capital and is subject to rapid and unexpected price movements. A key risk of leveraged trading is that if a market moves against your position you can incur additional liabilities far in excess of your initial margin deposit. Only speculate with money you can afford to lose. The products listed on this website may not be suitable for all customers, therefore ensure you fully understand the risks involved and seek independent financial advice if necessary. Nothing on Key to Markets’ websites, emails or any other form of communication or advertisement is intended to be a recommendation to buy or sell in any financial derivative markets. No representation, implicit or explicit, has been made that any account will or is likely to realize any particular profit or loss. Keytomarkets.com is owned and operated by Key to Markets Limited, UK. CFDs are complex instruments and come with a high risk of losing money rapidly due to leverage. 71% of retail investor accounts lose money when trading CFDs with us. You should consider whether you understand how CFDs work and whether you can afford to take the high risk of losing your money.